As our bank accounts will no doubt testify come January, December is the most expensive month of the year. 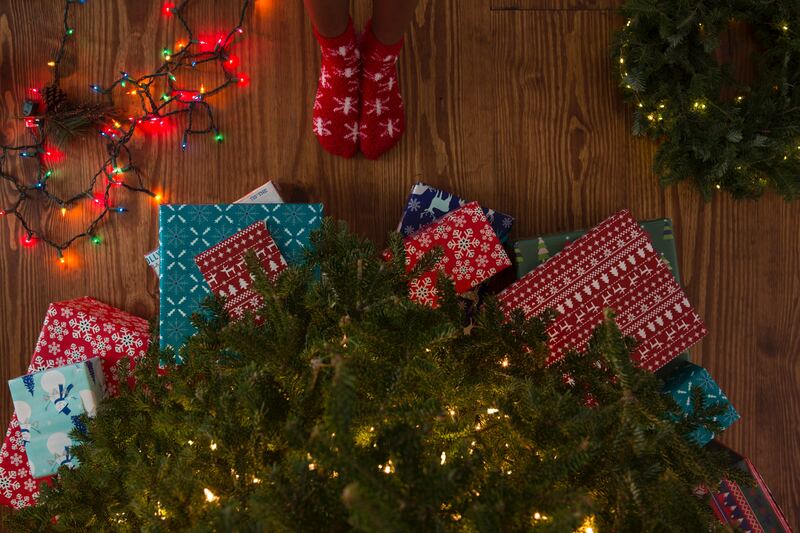 In the UK in 2017, we bought over 1 billion Christmas presents for 462 million people, with the average person spending £379. This added up to a whopping £19 billion being spent down the high street and online on presents for family and friends. And, as Christmas Day nears and we get a touch desperate trying to find the perfect gift, we might get a little reckless with how we manage our money. This can lead down a dangerous path towards unscrupulous scammers, who hope that Christmas will be profitable for them too. An Action Fraud report shows that fraudsters conned 15,000 UK shoppers out of £11 million during the 2017 Christmas period. Shopping fraud at Christmas rises by a quarter, with fraudsters targeting those who might be a little less careful with their spending. Fraudsters also know that if there’s more money being spent, there’s more chance for some to be stolen. Most of these frauds take place on online shopping and auction sites (such as eBay and Etsy), who find themselves more vulnerable due to the huge increase in traffic to their sites at this busy time of the year. At Christmas, with the promise of big cash savings and great deals, fraudsters hope to lure shoppers into buying goods that are often fake, falsely advertised or non-existent. At Christmas, it’s easy to be taken in by a bargain. It’s an expensive time of year, so a great deal can be attractive. But be careful. In trying to save a little, you might end up losing a lot. Always make sure when you’re interested in an item that you crosscheck it against descriptions and prices on other sites and be absolutely sure that the seller has a good track record and reputation. If you get an inkling that something is amiss, walk away. As cliched as it sounds, in these situations, a gut feeling that something is wrong is usually worth listening to. The volume of phishing emails rises at Christmas. Fraudsters play a numbers game, sending out a huge volume of emails that most of us filter out or delete. However, all they need is one or two to fall for their fraud and the crime pays. Emails being sent to you from fake accounts, so always closely check the URL. Emails offering fake offers, such as gift cards, vouchers and giveaways. Fraudsters lure in unsuspecting victims by getting them to click links and navigate to web pages and surveys where they enter credit card or bank details which can then be defrauded. If you receive a suspicious email, don’t click anything in the body of the email or download any attachments. Delete it immediately and flag the sender as a suspected phishing email or spam. One way to eliminate the risk of fraud when making purchases online is to make sure that all of your payments are secure. Shieldpay can help. We are fully authorised and regulated by the FCA, and our transparent payment solution mitigates the risk of fraud by verifying the identity of all parties, holding funds securely and only releasing funds when all sides agree. When purchasing online, never pay via bank transfer. Remember, making payments by bank transfer without payment protection in place comes with very little protection against fraud should the payee be dishonest or a scammer. So, if you have any doubt, use Shieldpay to protect you. Christmas should be a time for fun and celebration but the quickest way to ruin the festive cheer is to fall victim to a fraud or a crime. Buying presents for your family and friends should be an enjoyable, safe experience so make sure that you take care when buying online. If you do, you’ll be sure to have yourself a very merry Christmas.